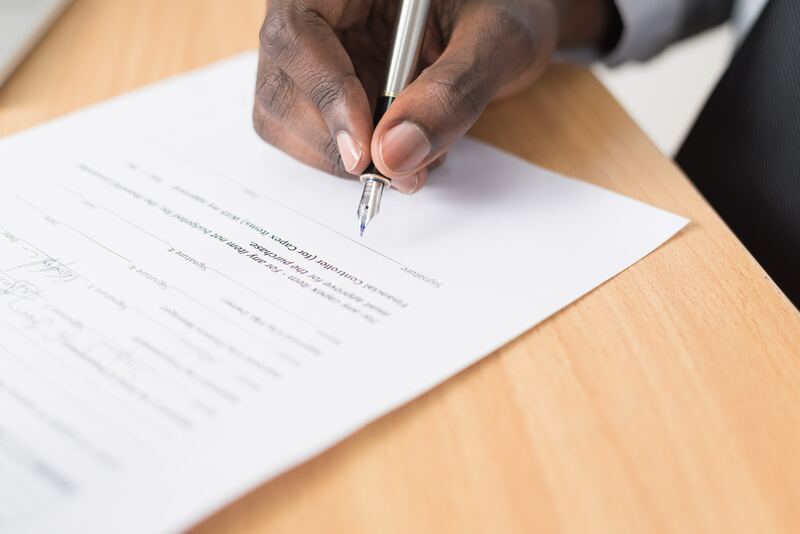 As intimidating as a contract sounds, it can be quite relieving and lead to healthier personal and business relationships. A simple way to lighten the mood is to use the word “agreement” instead of “contract.” This implies both parties are equal in negotiations and “agree” to the terms at hand. Agreements protect both parties in the event one or more terms are violated and come in many forms. Physical sheets of paper with both parties’ signature, email exchanges, texts, handshakes and verbal communication are all legal forms of agreement. Not having an agreement may lead to miscommunication, liability issues or strained relationship between parties involved. Beyond general protections, agreements provide a mutual understanding and symbolize a level of respect among the participants. For musicians a performance agreement is crucial. An agreement might be necessary and helpful even at a club gig, friends birthday party or free performance. This is your opportunity to set the tone and show the booking agent, venue or client what you require to be successful. That might mean a hot meal, access to photos taken during the performance, payment details (deposit amount and due date) or weather requirements. If you’re just starting out, a one page contract will suffice. Eventually your contract might be quite lengthy as you learn from past experiences and require more to successfully do the job. A performance agreement is typically between the performer (or band leader) and the entity hiring the performer. This might require a separate agreement between the performer/band leader (now playing the role of contractor) and subsequent members involved as sidemen (or women), crew, etc. This agreement protects both the leader of the group and everyone else involved and might include method and time of payment, protocol for cancellations, or liability clauses. In any case one party submits a contract for signature and the other can make amends back and forth until both agree to the terms. Once both parties sign, email or handshake then the agreement is in effect. Bring a copy of the contract in case you need to refer to it at the gig. Contracts show clients that you take yourself and your business seriously. Agreements are always a good idea even for one-off restaurant gigs or your friend's wedding. Digital signature sites like DocuSign make signing and editing agreements easier than ever. What do you like to put in your contracts?